A Long Island After School Nanny will certainly make it her first priority to assist with the children's school projects and homework! 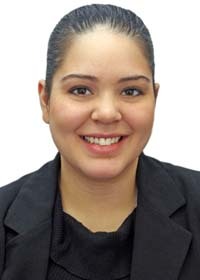 Diana enjoys being a Staten Island After School Nanny and watching as the children grow and learn! "I am a very energetic and positive person! I love working with children of all ages. I come from a very big family and have been always surrounded by children. Having such a big family and being one of the oldest meant having to do a lot of childcare, and that lead to me loving children. If I was asked to describe in one sentence the reason I have chosen to be in the Nanny profession over any other it would have to be because children are our future, and being a part of their childhood makes me feel that I will be a part of who they will become in adulthood. I have been serving in some form of childcare experience for over 7 years and can honestly say I LOVE what I do! I feel that children are our future. My goal as a Nanny is to help the children reach their full potential. I am willing to do light housekeeping in regards the children’s things. If I had to describe myself in five adjectives I would say that I am outgoing, positive, energetic, caring, and trustworthy. Activities that I would like to incorporate in the daily plan for the family I care for would include going for walks, playing at the park, and reading time. If asked to describe the perfect family seeking a Nanny like me I would hope they would be a nice family with children who love to go out and play, learn, and experience new things!" 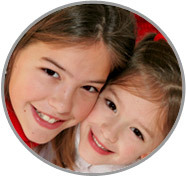 "From the moment Jennifer joined our family, she provided a loving and stimulating environment for both of my girls! We all formed an amazing bond with her right from the start. Jennifer is extremely reliable, trustworthy and responsible. But she is also loving, caring, and a joy to be around. Jennifer handled everything my children needed, including playing, studying, homework, and taking them to various extracurricular activities. Jennifer is very adaptable and tailored her child care style to fit the individual needs of both of my children, and accommodated my needs as a parent throughout the years, even as our life situation changed, and she became one of the only people in my life I could truly count on. Jennifer is an amazing role model, both as a woman, and a friend. I HIGHLY recommend Jennifer for any Long Island After School Nanny position, as I know that she will embrace any challenge with dedication, positivity, and love!" "I met Jennifer through a mutual friend. What caught my attention about Jennifer was the way she interacted with a child she was caring for. She seemed so loving and understanding towards the child, not at all afraid to get down and play! After a year, I discovered I was pregnant, and she really helped me through the pregnancy and after my son was born. She was wonderful! There was no situation she could not handle. She coached me through some overwhelming times. It was great to have someone I can count on. I most definitely recommend Jennifer for a Nanny position! I am confident she will provide nothing but the best for the lucky family she cares for! She is really great with children! She is highly experienced and will prove to be an asset to your family!" "Jennifer watched the children and kept them safe, and they were happy to have her there and were even sad to see her leave at the end of the evening. We met Jennifer when we moved into the house across from hers. The children always enjoy her time with them. I wholeheartedly recommend her as a Long Island After School Nanny." "Jennifer was my child care provider for over 7 years. Her duties were supervising the children, preparing and feeding the children, changing, bathing and getting the children ready for bed. She is great with children, very loving and playful! Jennifer went from being my caregiver to a very close friend. She even helped name my two youngest children! I feel she will be a great asset to your family."